Rates displayed are for 2 guests in GBP. Bedroom One is on the first floor and has twin beds. Furnished in a mixture of painted furnishings, the colours are a mixture of warm caramels.,utilising a mix of coordinating fabrics. 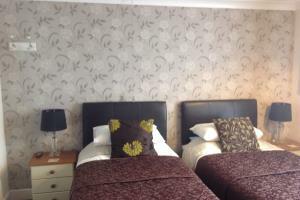 The room has a flatscreen Freeview TV and a en-suite shower room complemented by soft towels and toiletries. 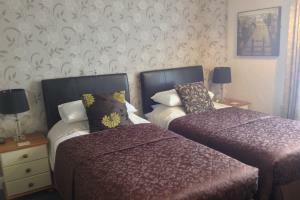 Room Two is one of our cosy Double rooms on the 1st floor. It is our smallest room with a double bed, complimented with aubergine & nautrel colours & cream painted furniture, Silk fabrics and crisp white linens. 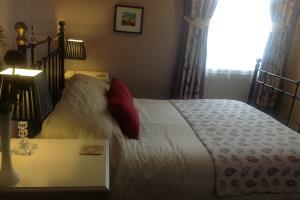 Room Two has a compact En-Suite shower room, complemented with fluffy white towels and toiletries. 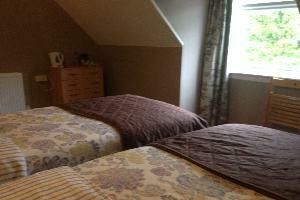 Room Three is on the 1st floor at the front of the house with lovely views over Tower Gardens. 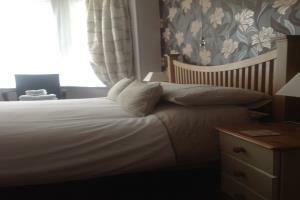 It is furnished with a King bed with crisp white linens, as well as a flatscreen Freeview TV. The beautiful, traditional cool fabrics complement the furnishings perfectly. 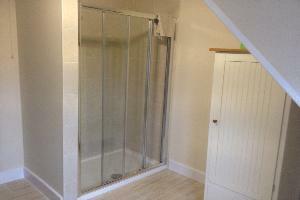 It has an en-suite shower room with fluffy towels and complimentary toiletries. 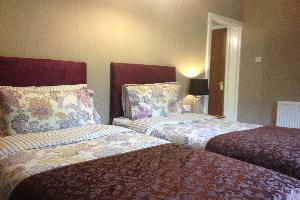 Room Five is one of our cosy Double Bedrooms on the 1st floor. It is at the front of the building so has lovely views over Tower Gardens. with a double bed, blue & Cream hues with cool fabrics and crisp white linens. 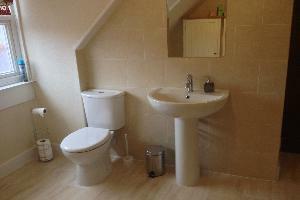 It has a small but well equipped en-suite Shower room, toiletries and complemented with fluffy towels. Room Six It is a very pretty room decorated in bluey greens & taupes with a King bed, painted cream furniture, crisp white linens. 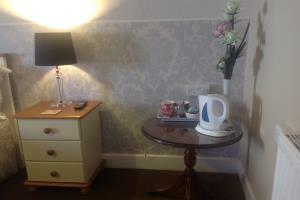 It has a flatscreen Freeview TV and An en-suite shower room with toiletries and fluffy white towels. Room 7 is located on the second floor, it has a King size bed with Egyptian cotton bed linen, tea and coffee making facilities and a flat-screen digital Freeview TV. 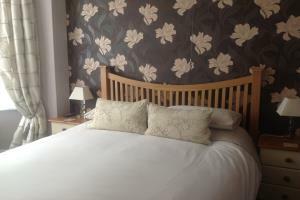 Room 8 is located on the 2nd floor,it has a King size bed with Egyptian cotton bed linen, tea and coffee making facilities and a flat-screen digital Freeview DVD/TV.